Charley has over 18 years of game development experience in design, production, and creative management, spearheading conceptualization and development of a diverse and innovative assortment of successful products spanning a host of platforms. As the co-founder of Hidden Variable Studios, Charley led the design and direction for their debut iOS/Android title Bag It! (20+ million players to date), Tic Tactics, and the fully snappable Xbox One version of the award-winning game Threes. 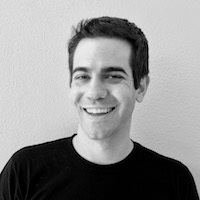 Charley is currently the Lead Designer and Game Director for Skullgirls Mobile.